Home » Our Services » Las Vegas Optical Services » Why Buy Your Eyeglasses at Our Las Vegas Store Near You? Your eyes and your vision are unique, and not all glasses frames and lenses support all vision prescriptions. Depending on your needs, such as bifocals, multifocals, astigmatism, and high myopia, certain styles and glasses designs will help you achieve sharper vision. The thickness of your lenses and the most suitable lens coatings for your lifestyle are also significant – do you know what’s right for you? Our optical staff will eliminate all the guesswork and give you professional advice about the best eyeglasses for you in Las Vegas. And of course, you also want your glasses to look amazing! When you buy online, who will stand next to you and point out the best materials, shapes, and colors to flatter your face? When you buy glasses from our Las Vegas glasses collection near you, we will stand by your side. Said simply – temples and nose pads need to make contact with your face at the right angle or they’ll hurt. If they are too tight, glasses can be painful, or if they are too wide, they’ll slip down your nose. The types of nose pads and temples also varies, and you can’t know what feels comfortable unless you try them on. As far as your vision, you need an accurate Pupillary Distance (PD) measurement to order lenses in the right size. Our optician will make sure that your Las Vegas glasses are a perfect fit. 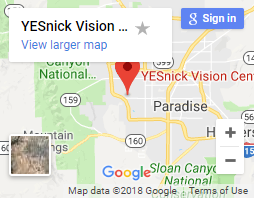 Many people think that no matter price is being offered for eyeglasses in Las Vegas, they’ll find a better deal online. What customers don’t realize is that optometrists and opticians develop close relationships with premium eyeglass manufacturers. These relationships lead to special promotions and savings. When you buy glasses from our local Las Vegas vision center near you, we’ll offer you rebates and discounts on designer brands, which are unavailable from eyewear websites. Therefore, even if the initial price appears higher on some of the frames in our local glasses collection, your final cost will often be significantly less. Another point to remember – not all online glasses sites accept insurance. 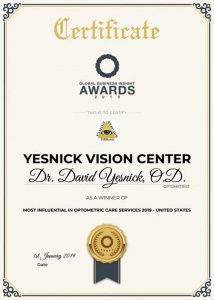 At Yesnick Vision Center, we accept virtually all medical and vision insurance plans. 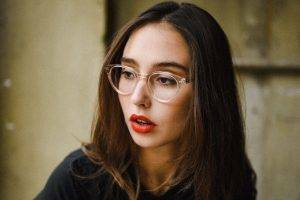 Many online retailers make a profit by offering the cheapest Made-in-China frames crafted with the most basic types of lenses. In direct contrast, you can count on our premium eyeglasses in Las Vegas to be constructed with durable materials and precise engineering that’s made to last. Our optician will introduce you to a variety of optional lenses coatings and treatments, including transition lenses, polarized, ultra-thin, and scratch-resistant. We understand that eyewear must stand up to rough and tough living, and every pair of our high quality Las Vegas glasses will hold strong over the long-term! Some vision conditions are more complex than others, and vision correction is can therefore be more challenging. If you have a very high prescription, astigmatism, or a complicated eye condition, you need an expert to craft your lenses. Otherwise, you risk wearing glasses that distort your view of the world. In fact, several studies report that over 50% of glasses bought online were fit with incorrectly crafted lenses that didn’t match the vision prescription. This leads directly to blurry vision, eye fatigue, and painful headaches.  When you buy designer frames from our brick-and-mortar Las Vegas glasses store near you, our staff will take a personal interest in satisfying your needs. We will help you choose the ideal eyeglasses for crisp vision and a sharp look! And it goes without saying – we’re also much friendlier and caring than your computer!